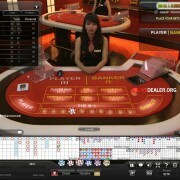 As is apparent above, Playtech offer many different look & feel baccarat tables. 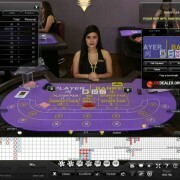 Aside from the many ways the game is presented (different studio’s, regular deals, speed deals, multi-camera angle squeeze tables, player controlled squeeze on the VIP tables etc) for the most part, and considering the main game only (Banker, Player, Tie bets), there are essentially 2 rule sets. 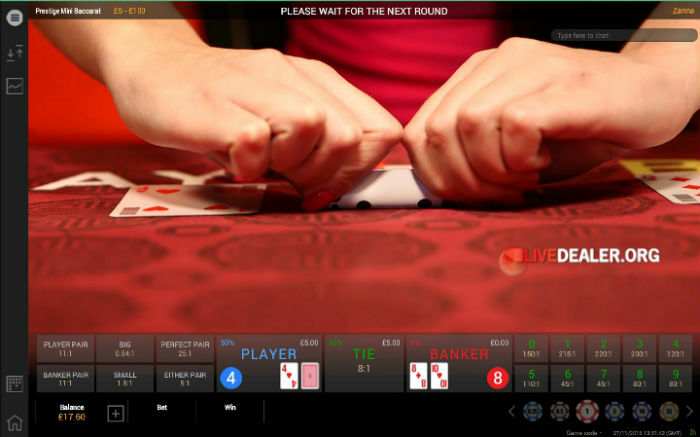 In all other respects (card values, third card rules etc) the games are the same. 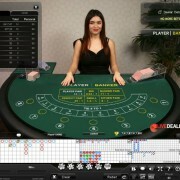 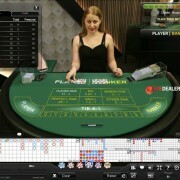 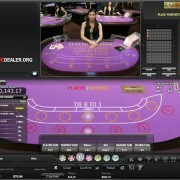 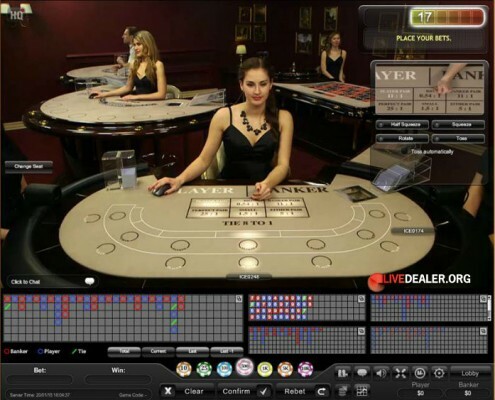 A good proportion of Playtech’s live baccarat tables are streamed from their Asian dealer studios (Manila, Philippines). 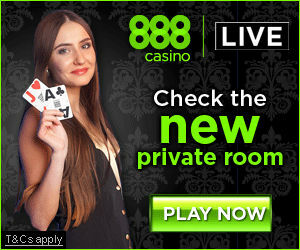 Makes sense really. 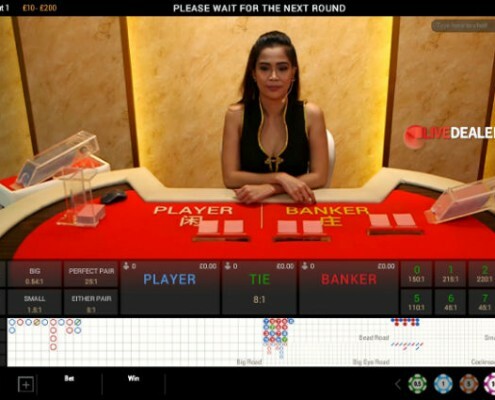 After all this is a favorite game in Asian playing markets. 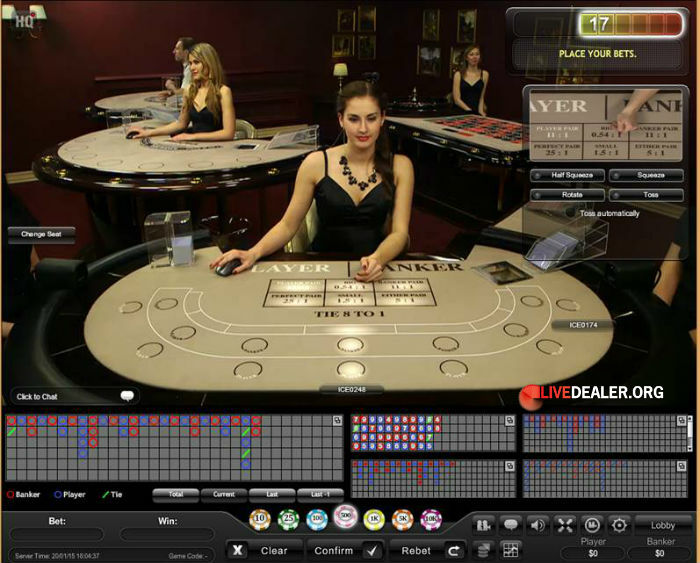 This is what Playtech’s European studio live baccarat tables looked like back in 2009. This is what Playtech’s Asian studio live baccarat tables looked like back in 2009. 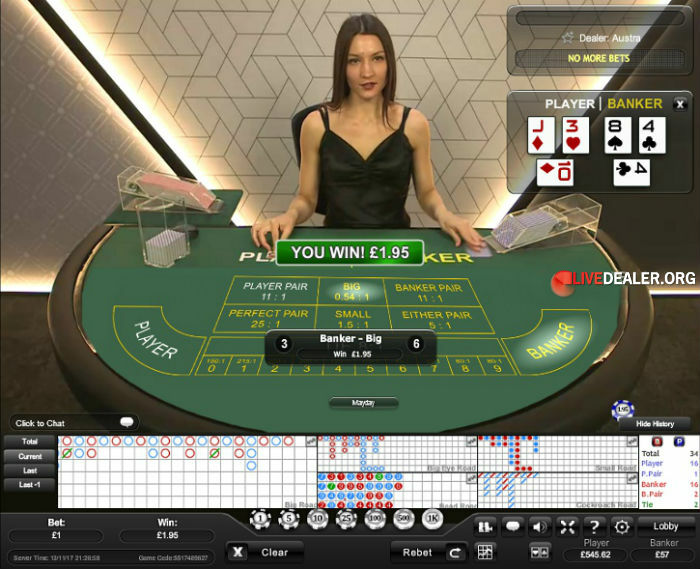 Introduced at the end of 2016, Prestige Baccarat is streamed via multiple camera angles in HD from Playtech’s Riga studio, and offers a dealer-controlled card squeeze adding a little theatre to the game. 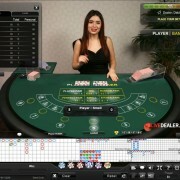 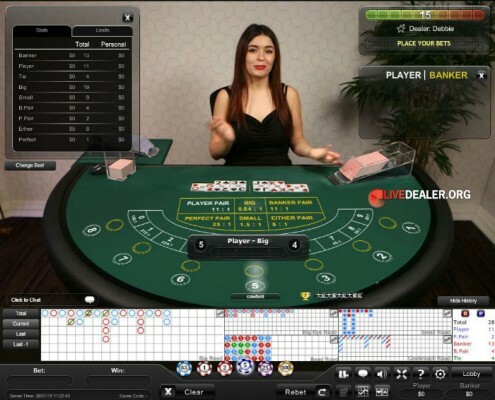 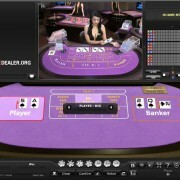 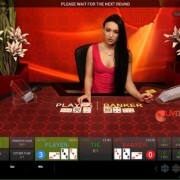 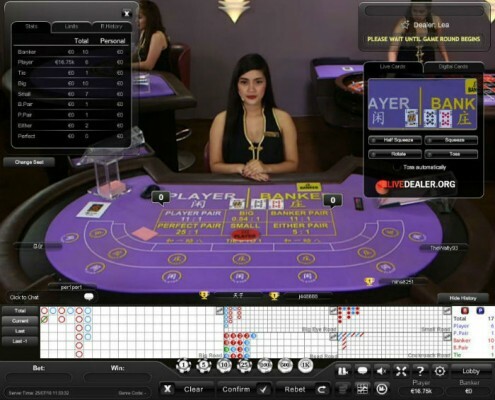 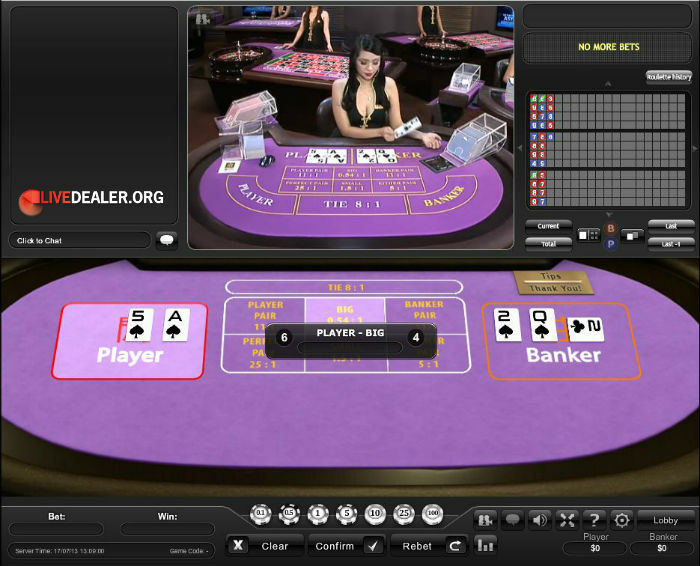 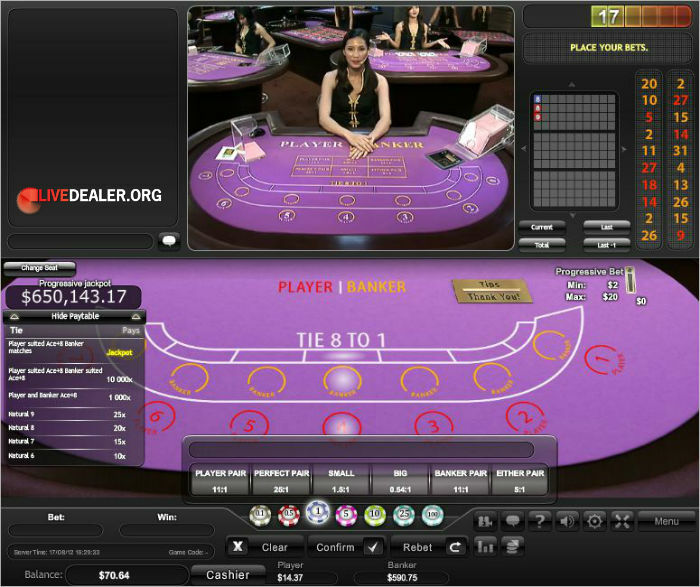 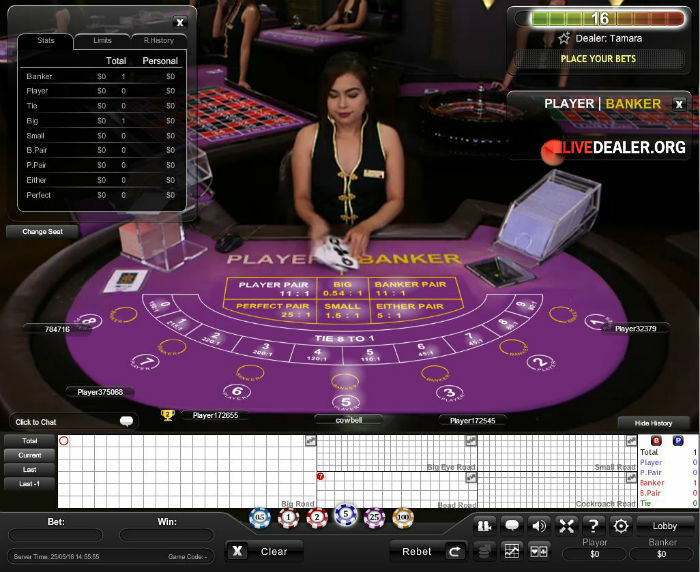 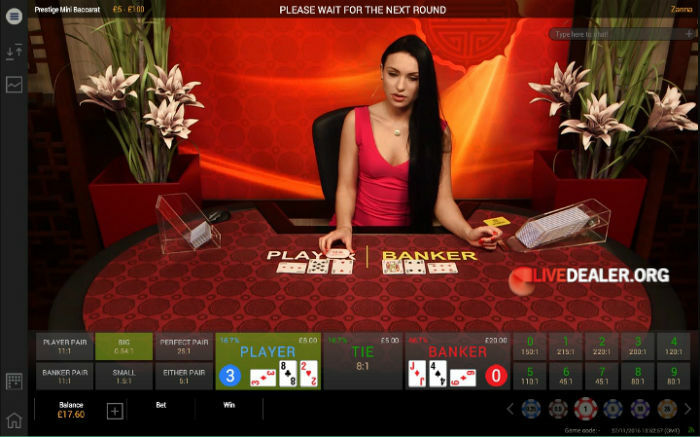 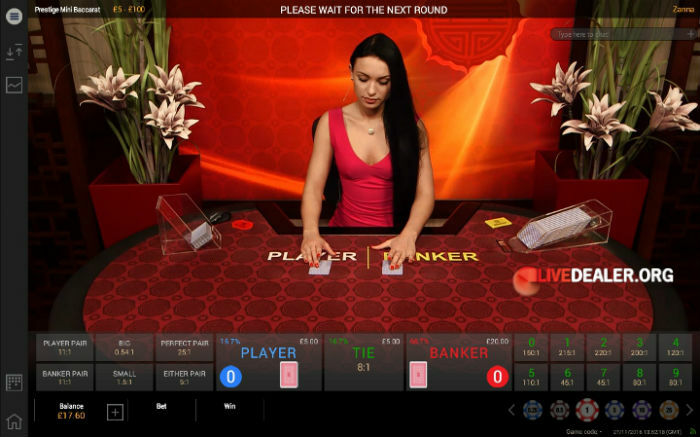 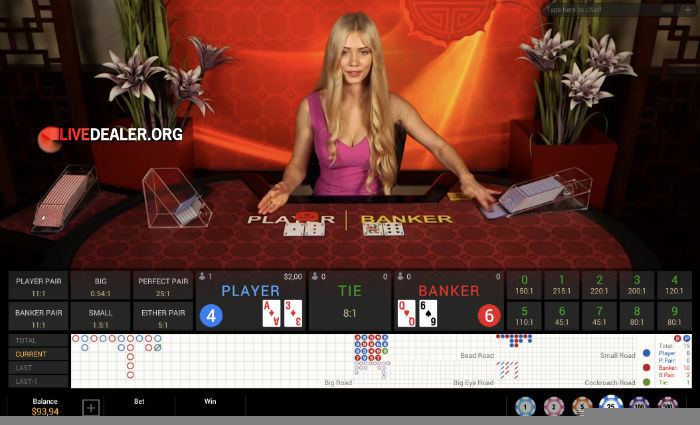 Golden Baccarat is streamed from Playtech’s Asian dealer studio in the Philippines. 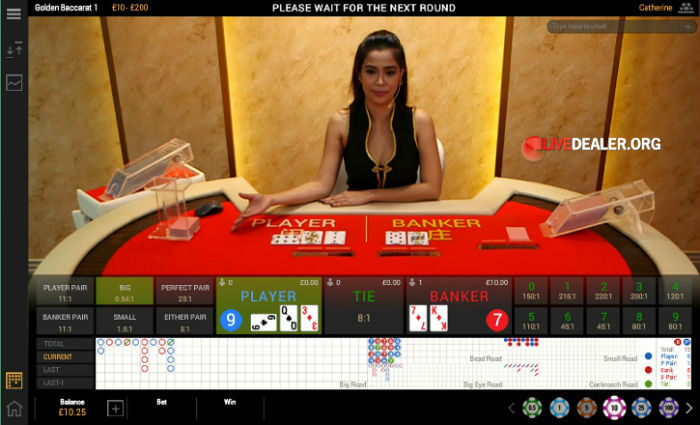 The cards are dealt slightly differently to regular tables…Player and Banker hands face down (no squeeze), and possible 3rd cards are also dealt face down, ready to be flipped and applied if needed. 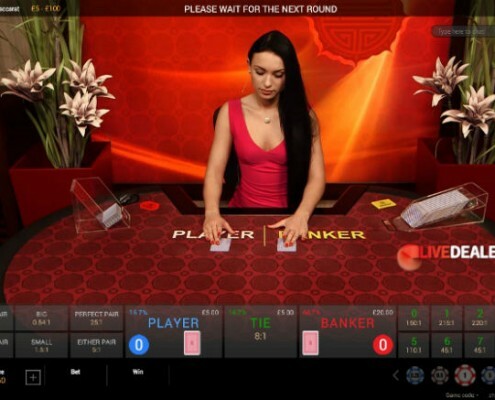 If not…they go towards the next deal. 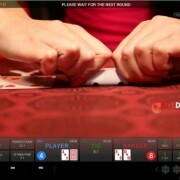 In essence, outcomes will identical to those from a regular deal. 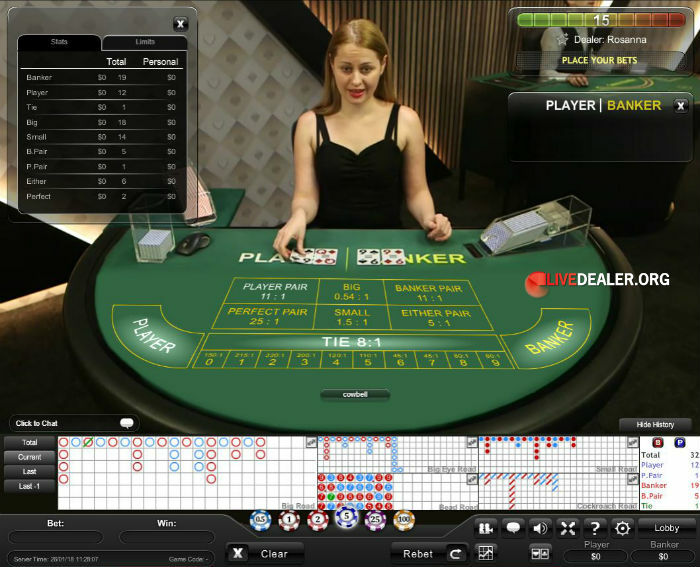 Grand Baccarat was one of the first all-access tables to go live inside Playtech’s new Riga dealer studio. The table went live at a number of operators in March 2017. 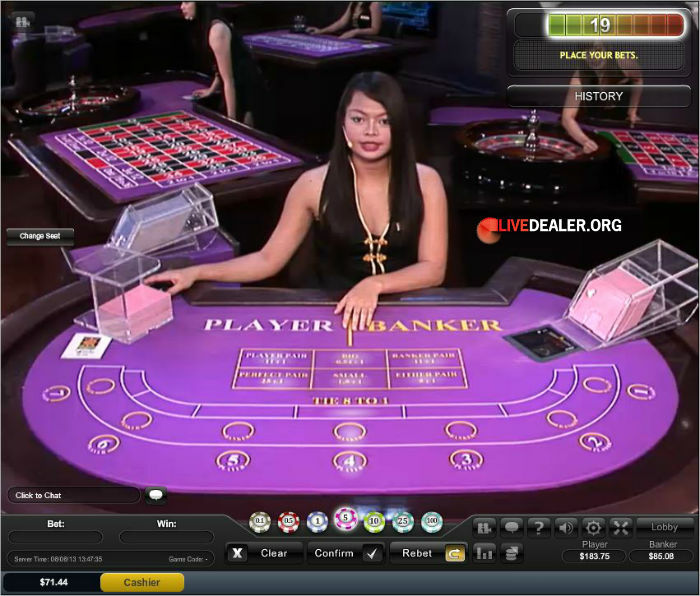 Choose No Commission Baccarat from the casino lobby, and you will be playing a table with slightly different payouts applying (effectively same table/dealer…just different payouts). Here Banker win pays 1:1, unless Banker wins with value 6, then Banker win pays 0.5:1. 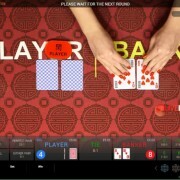 Player (1:1) and Tie (8:1) payouts same as regular baccarat. 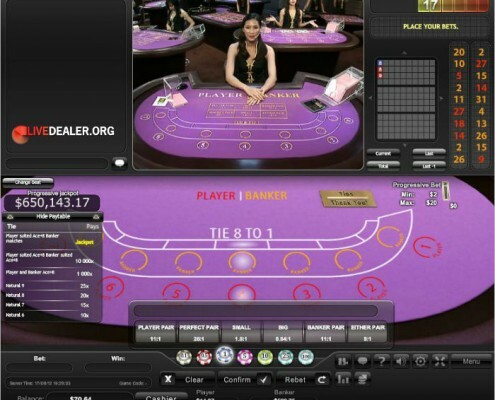 Playtech’s VIP live baccarat allows the highest staking player(s) at a 7 seat table to peek at that position’s (Banker or Player) hidden cards via a second video feed. 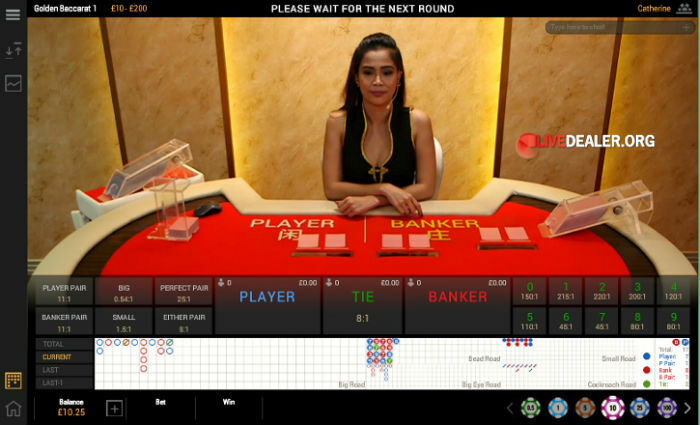 Live baccarat with an optional progressive jackpot side bet. Pairs side bets are offered also. 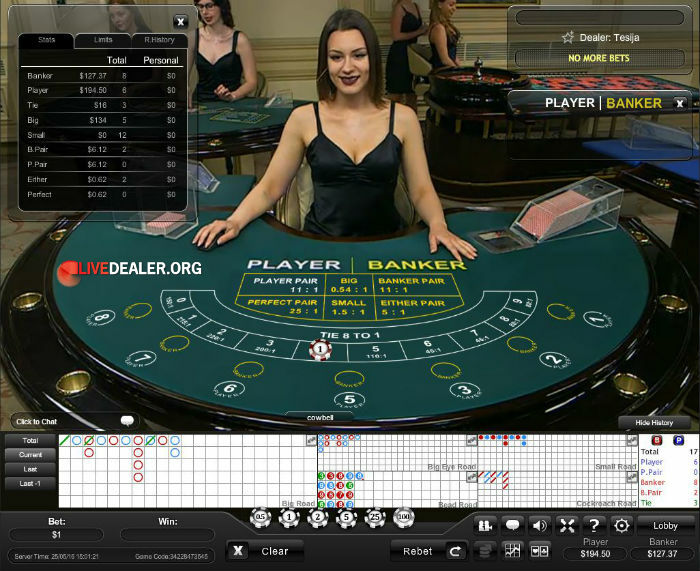 This is live dealer baccarat dealt from an 8 deck shoe and streamed from Playtech’s Euro studio. 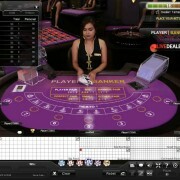 Choose Lounge Baccarat (full 8 seat table) or Mini Baccarat. Same bets and payouts offered. Live baccarat streamed from Playetch’s Asian dealer studio in the Philippines. Choose multi-seat format or mini-table format…identical rules/bets/payouts apply either way. 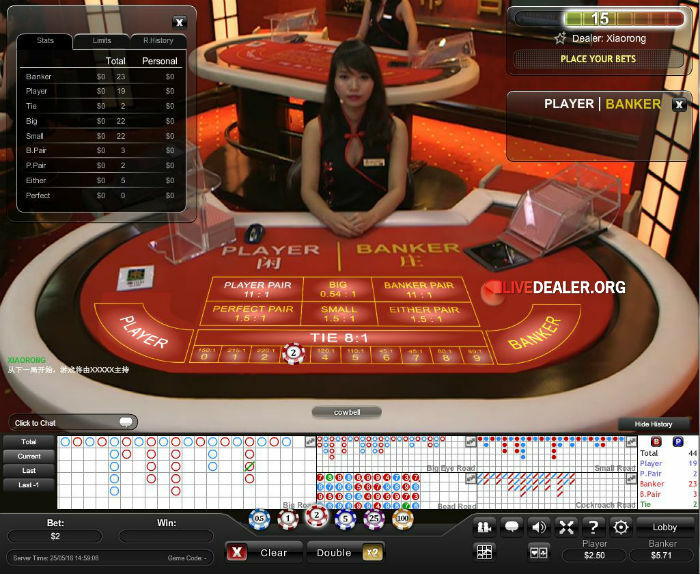 This table operates with 3 dealers – 1 to deal the cards, 1 to squeeze the banker’s cards, and 1 to squeeze the player’s cards. 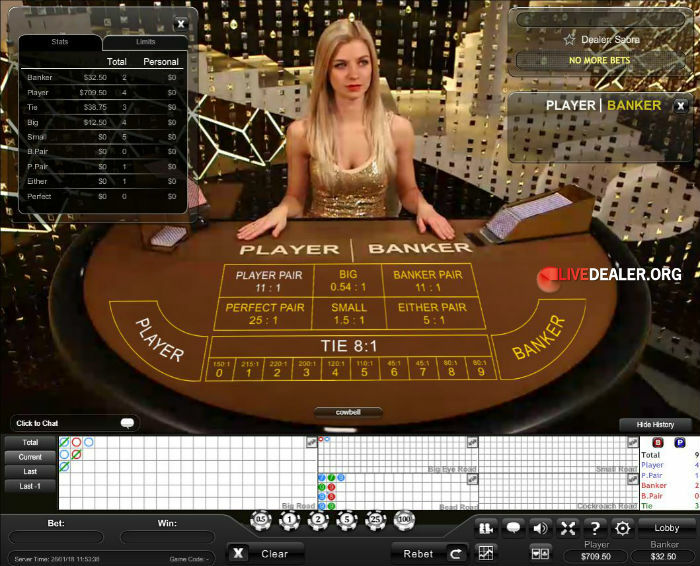 The player with the highest bet on either the Bank or the Player gets to control the “squeeze cam” and instruct the squeezing dealers (left and right of table) to squeeze, half squeeze, rotate or simply turn the card over without delay. 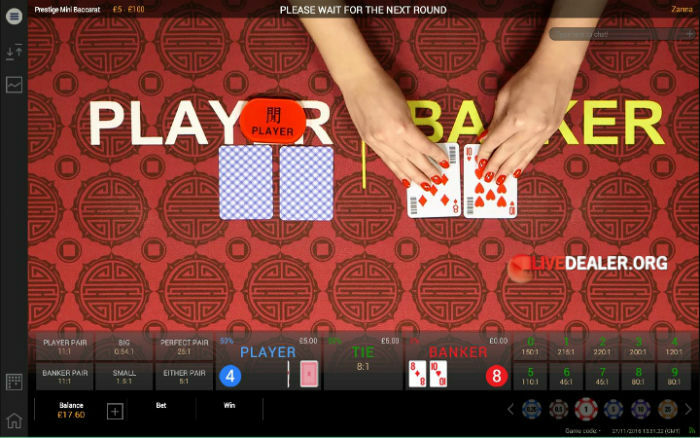 Limits are very high: €500 min, €10,000 max when first launched.